A year ago, Norman Vigil was ready for retirement. He had dedicated 37 years of his life to conservation, much of it running programs for NRCS in New Mexico. But not long after leaving the agency he was approached by the New Mexico Association of Conservation Districts (NMACD) with a job offer – one he and more than two dozen former state NRCS, Forest Service and Bureau of Land Management (BLM) staff have been unable to turn down. 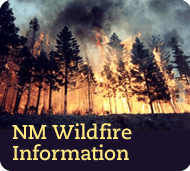 For close to a decade, NMACD has turned to retired agency staff to assist in their role in Restore New Mexico, an initiative designed to control invasive brush species, improve riparian habitat, reduce woodland encroachment, and reclaim abandoned oil and gas well pads. Dating back to the last Farm Bill, NMACD has used Environmental Quality Incentives Program (EQIP) funds to coordinate work on federal land – a rare exception to the program made possible thanks to former USDA Undersecretary for Natural Resources and Agriculture Mark Rey. "His goal was to connect the Forest Service with private landowners, but the program didn't work as designed," says NMACD Executive Director Debbie Hughes. Breakdowns in the process and program confusion created an initial setback, but NMACD found a willing partner in BLM, which matched the $1 million earmark dollar for dollar. The program has continued – and evolved – thanks to support of state conservation leaders, and soon the Forest Service saw the potential. Last December, the Forest Service and NMACD entered into a technical service agreement – the first of its kind in the state – to conduct work using EQIP funding. The interest level was high; Hughes and other state association leaders visited with Southwestern Regional Forester Cal Joyner to discuss how the program could work in the state. But the Forest Service presents a unique challenge NMACD did not face with BLM; each budget is managed by the district forester, meaning the partnership would need to be "sold" on a one-by-one basis. A new report, released in May, projects firefighting costs in 2014 could reach $1.8 billion – close to a half-billion more than the U.S. Forest Service and Department of Interior (DOI) have allocated to spend.This spike in firefighting spending is nothing new, and something Forest Service leaders have drawn attention to for some time. Speaking to attendees at the Sustainable Forestry Initiative Annual Conference last fall, former Forest Service Chief Dale Bosworth noted that in the 1990s, firefighting accounted for roughly 15 percent of the Forest Service's annual budget, but is now pushing the 50 percent mark. The U.S. Forest Service and Natural Resources Conservation Service (NRCS) are seeking nominations for the seventh annual Two Chiefs' Partnership Award. The awards are given to recognize successful conservation efforts made possible through partnerships among employees or officials from state forestry agencies and conservation districts, as well as Forest Service and NRCS, who have worked collaboratively to support conservation and forest stewardship. The 2013 Two Chiefs' Partnership Award certificates will be given in two categories, individual and group, and will be presented to the recipients by Forest Service and NRCS leaders at an appropriate venue or by mail following the announcement by the agency heads. To date, more than 20,000 infested trees (and more than 10,000 high-risk host trees) have been removed from a regulated area in Massachusetts thanks to efforts from the U.S. Department of Agriculture's Animal and Plant Health Inspection Service (APHIS). The pest was detected in the state six years ago. Survey teams investigate areas with the hope of confirming the beetle is not beyond the known infestation. Landowners can also report infested trees. The program works with entomologists and foresters to further develop pheromone traps, which are expected to be placed in June. Other methods include: regulatory treatments for wood and nursery stock; looking at chip size and grinding techniques to deregulate host material; and assessing the use of pesticide treatments in the fall. The Massachusetts Department of Conservation and Recreation is helping to replant trees removed as part of the eradication effort. According to figures published in the Courier-Journal, the forestry industry is on the rise in Kentucky. A University of Kentucky research team estimates that the industry is responsible for $7.9 billion of the state's economy, up 2.9 percent from 2011. Employment within the industry also increased by more than four percent since 2011 (a total of more than 27,000 jobs last year). Products ranging from whiskey barrels to wood flooring and cabinets have helped the state's industry remain steady. Researchers from North Carolina, South Carolina and Georgia are working together to figure out what makes kudzu bugs tick. Although the bug feeds on kudzu in early spring, it will shift attention to soybean fields once they are planted. The researchers have one basic question: Why? "Kudzu bugs overwinter behind tree bark," N.C. State University Extension Specialist Dominic Reisig said. "They particularly like the loose bark of pine trees. We've also found them below broadleaf litter. From there they move to kudzu, so we think kudzu is an important bridge host." To find out how far kudzu bugs can fly, researchers will attach adult kudzu bugs to a flight mill that measures the insect's speed and distance.